As we reported last night, the Edmonton Oilers had some awful news to report with the injury to Connor McDavid. And now we know the extent of that injury, somewhat. McDavid was scheduled for surgery on Wednesday and will be out for months, the team announced today. The number one pick in the 2015 NHL Entry Draft was injured with 1:44 to go in the second period of Tuesday’s game against the Philadelphia Flyers. He hit the end boards and subsequently fractured his left clavicle. The Oilers won the game by a final score of 4-2, scoring three third period goals after McDavid went down. The club will get Jordan Eberle back in the lineup next week, so that’s a good thing. He suffered a shoulder injury on September 29 in a preseason game against the Arizona Coyotes. But the McDavid injury is a tough one to get over considering how much he’s already meant to this team after just a month in the National Hockey League. As mentioned yesterday, McDavid had five goals and seven assists in 13 games for Edmonton thus far. He was named October’s Rookie of the Month and looked to be picking up some serious momentum. He was set to square off against Sidney Crosby on Friday, but that dream matchup will have to wait. For now, the Oilers will adjust. 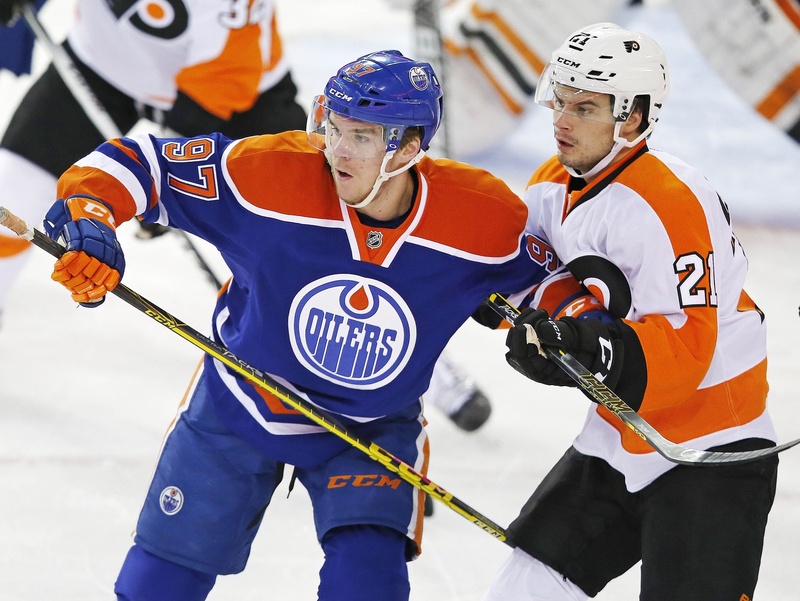 Leon Draisaitl is expected to take McDavid’s place at centre between Benoit Pouliot and Nail Yakupov. Draisaitl had been skating on the top line with Taylor Hall and Ryan Nugent-Hopkins since being called up from the AHL on October 29. The 20-year-old has seven points in three games, bolstered in large part by a three-point game against the Calgary Flames on Halloween. So the Oilers will have to make do without McDavid for months. He is officially “out indefinitely” and that’s going to stink. But it will also teach the team a valuable lesson about adversity, as if they needed another one.